Chronic issues are on the rise, People experience tremendous dis-empowerment in the way they are treated by physicians and hospitals. And more and more people realize that mainstream medicine does not have all the answers. People are actively looking for the best ways to get well. They might as well come to you. Biocompass® provides you with a unique and powerful way to turn your clients diseases into empowered healing. Understanding the exact emotional root-cause why the body created that disease gives you a clear pathway towards health and vitality. It has been recognized for many years that stress plays a vital role in vitality, health and wellness. However the exact mechanisms are unknown. What does stress do and why does it create disease… in some people. When stress creates disease, Why then does it create a heart attack in one person and adrenal burnout in another person ? Biocompass® gives you the answer. Have you ever noticed how dis-empowered people can be when they are facing a disease or symptom? This dis-empowerment actually creates tremendous stress and limits the bodies self-healing ability. In his book “Healing Psyche” Rob van Overbruggen Ph.D. wrote extensively about this topic and how this dis-empowerment actually blocks the healing process and might even create diseases. Image this, somehow you have developed a sickness or disease and you seek treatment for that. You visit an physician… they look at you… and they almost ‘steal’ your body. From that moment on it might be that they start saying that they are going to do surgery here, injection there. They take ownership of your body and decide what to do with it. They steal your body. And on one level this is ok, as you might not have the expertise to know what to do. But at the same time this Stolen Body Syndrome will leave you powerless and helpless. With the help of Biocompass® you now can get back this power, own your body and decide for yourself what you want or do not want to be done. The physicians are helpful advisors in your process, but it is your body and you decide. This is empowerment, it reduces stress and increases your self-healing abilities. I did many times, I have asked myself this question since I was a young boy. Over the course of your lifetime might get an cold , cut yourself, break a bone, get in touch with a bacteria etc. Basically the body knows exactly what to do to get back into a normal healthy state. When that is the case, how is it possible that people are sick for longer times. That is something I personally pondered upon and which set me on a course to find the missing pieces. During my extensive studies over the last 23 years I came to the conclusion that the body has a plan with diseases. This plan is to stay alive and to deal with life in the best way possible. Unfortunately this sometimes includes diseases. The good part is that once you know the plan of the body and where it is heading you can change and move towards health. That is what Biocompass® is all about. With the tools and techniques you learn during the course you will be able to create magical healing results within yourself and your clients. Biocompass® – The Awakening is an intensive training that will shift your mindset and give you the tools to work with your bodies plan to heal yourself and others. 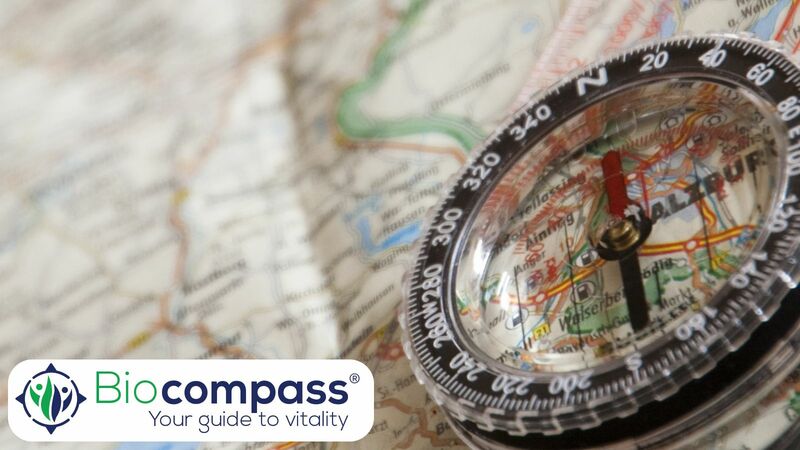 Build your business by being able to offer the unique biocompass® approach for your clients. During this unique training you will learn how to find the exact emotional cause behind any disease. The techniques that you will learn allows you to dive straight in the emotional cause and bypasses all the guesswork. Because you will know the exact questions to ask to get straight to the core. Achieve in minutes what used to take hours or multiple sessions. Once your client understands and recognizes that issue, the course of action is obvious and much more effective. The client often feels relief after one session. Some even feel totally transformed after the first Biocompass® session. The perspective you are able to give your client will last for a lifetime, and is often the most profound change in their life. All because of your guidance. This methodology will put you lightyears ahead of the crowd of therapists, practitioners and integrative doctors. Your clients will be happier and you will have a full practice because of your results. Biocompass® goes way beyond what is traditionally discussed as mind-body medicine or as ‘organ-language’. it actually explains in a logical, biological and consistent way WHY the body reacts the way it does. Understanding the reasoning of the body to create symptoms allows you to work with it much better. Biocompass® is not just an emotional-symptom list, but a complete system to work from any symptom to the emotional cause. EFT , NLP, Hypnotherapy, Acupuncture, Homeopathy, but also it can be an add-on to mainstream medicine, alternative/complementary medicine. Biocompass® is part of the field of integrative medicine. Continue your education and become a certified trainer. Connect with integrative health practitioners all over the world (physicians, psychologists, EFT practitioners, NLP practitioners etc etc). Creating a truly integrative network of both mainstream and alternative/complementary practitioners where all sides respect and learn from the others expertise. Biocompass® is one of the most advanced mind-body systems available. With the complete redesigned trainings we are now able to teach this methodology in a much easier and effective way. The training integrated personal development and evolution together with direct applications for your clients. At the end of the training you will get the possibility to join exclusive international network of professionals that help you in building and growing your therapy business. Is this exclusive training for you? This training is designed for people who are trained to be a therapist, coach, physician or any other profession to help people live a happier and healthier life. The body never makes mistakes .. or does it ? * Mentoring session with Caroline Dawsons text.